A spokesperson for the cathedral said that the wooden structure supporting the roof was being gutted by the blaze. A short while ago, the cathedral’s spire collapsed, sending a sea of sparks flying high. A spokesperson for the cathedral told AFP that the wooden structure supporting the roof was being gutted by the blaze. 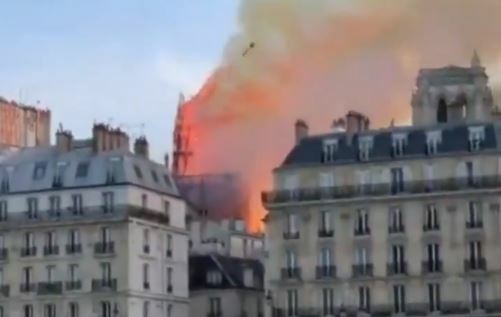 Witnesses are now saying the roof of the Notre Dame Cathedral has completely collapsed, as the result of a massive fire. A spokesperson for the cathedral said the fire, which comes as French Catholics prepare to celebrate Easter, broke out at about 4.30 GMT.